This past week, I had the opportunity to interview Curtis Ingraham, the estranged brother of Fox News Host Laura Ingraham, during our first episode of ‘KrassenCast: Defending What’s Left‘. The episode, in its entirety, was released to Patreon backers on Wednesday and released publicly on Friday via Soundcloud. It can be found below. During the lengthy interview, Curtis Ingraham talked a lot about his younger sister’s upbringing, including her Nazi-sympathizing father who would shoot guns in his basement while yelling ‘Sieg Heil’. Curtis, also touched on his sister’s anger issues, reflecting on an incident in which she was fired from an ice cream shop for disrespecting a customer. One of the more notable parts of the interview came when Curtis spoke about Laura’s lack of ever being loved. We asked Curtis why he believes that Laura seems to have followed the path she has, in her support of President Trump, and that’s when he began to speak of her issues with love. In our interview, Curtis Ingraham confirmed this report, saying that this reaction by his sister is an example of her anger problems. 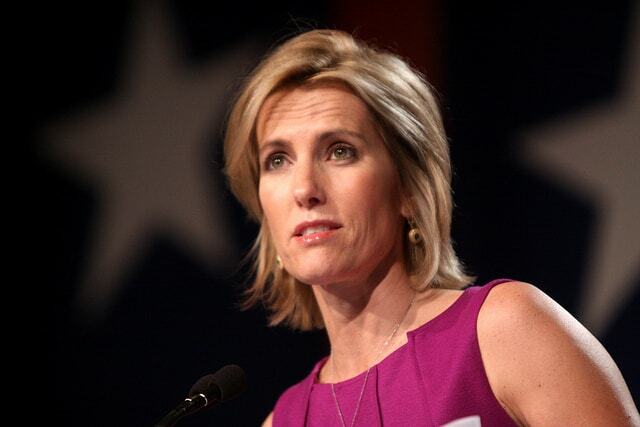 Laura Ingraham, as many people are aware, has spoken out on multiple occasions against immigration, yet some call her a hypocrite since she herself has adopted three children from other countries, including one child from Guatemala and two others from Russia. Curtis Ingraham took some time to speak about this as well. The entire interview can be heard in the first episode of KrassenCast — “Episode 1: ‘The Ingraham Anger’ and Krassenstein Cuddles,” now available on Patreon and Soundcloud and soon to be released to iTunes. Listeners can help support the ad-free KrassenCast via the Patreon page.